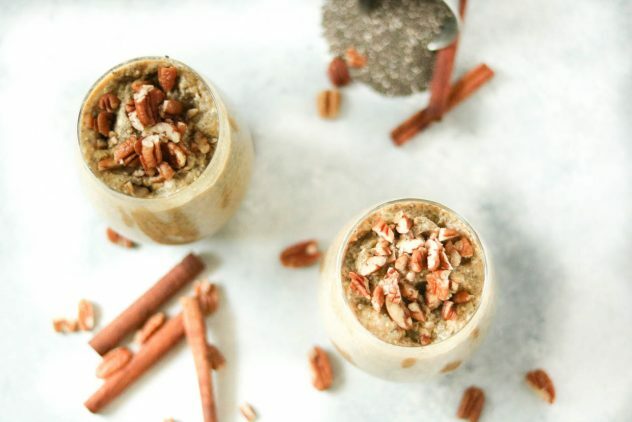 What can I say, I’m one of those basic chicks that loves everything pumpkin spice, including this pumpkin spice chia pudding! 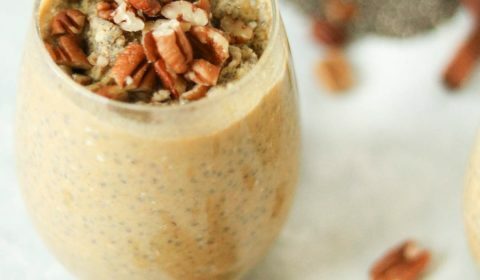 I love me some chia pudding because it’s quick, it’s super easy, and it hits the sweet spot craving. I could create a cookbook of just chia pudding variations, that’s how much I LURVE it!! Did I also mention how super easy it is to make chia pudding. I think my kids could make this and not mess it up. 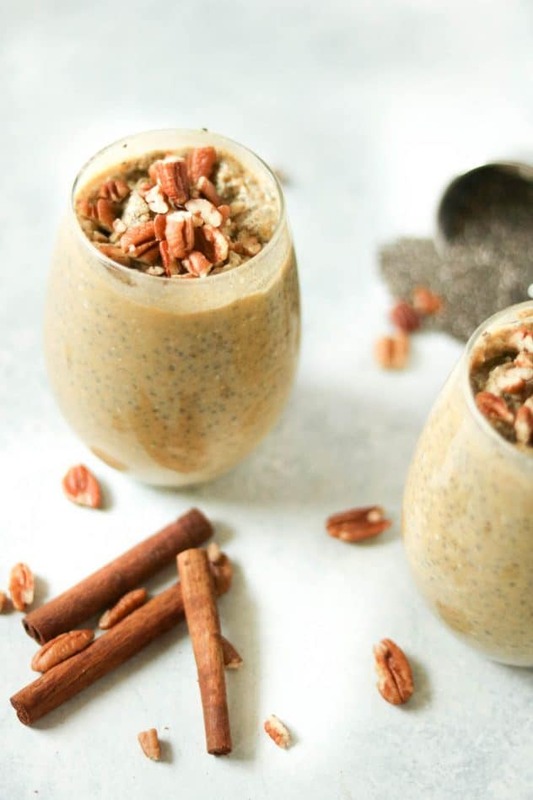 (okay, okay….so they’re teenagers, but you don’t understand how bad their lack of cooking skills are) I did top this pumpkin spice chia pudding off with some naked pecans but you can totally leave those off. Now, some of you that know I have a severe nut allergy might be thinking, WHAT ARE YOU THINKING, JENNIFER?!? For some strange reason, I’m allergic to all nuts, EXCEPT for pecans. I think it’s the universe’s way of allowing me to enjoy pecan pie, right? 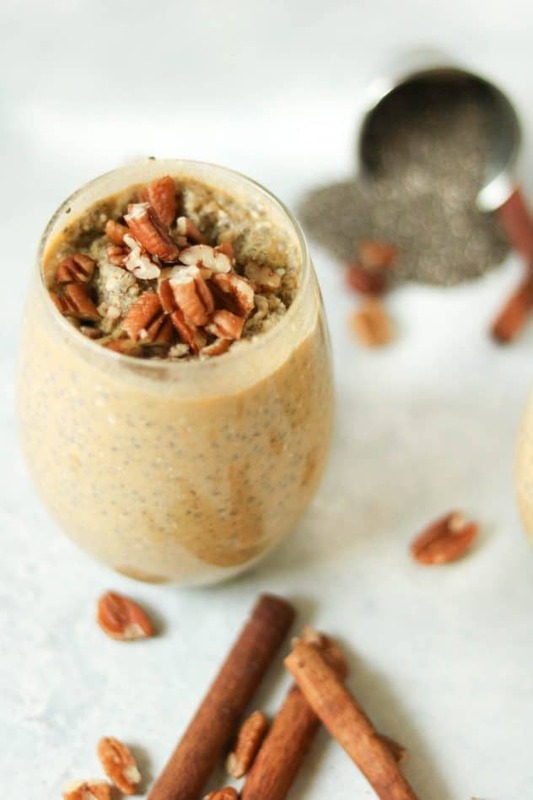 This pumpkin spice chia pudding is a super quick and easy dessert. In a large saucepan, whisk together over medium-low heat the coconut milk, pumpkin puree, vanilla, pumpkin pie spice, and maple syrup. Whisk until thoroughly combined and heated, about 10 minutes. Remove from heat, add chia seeds and whisk together. Pour into individual ramekins or small tumblers. Cover and refrigerate for about 3 hours or until thickened to a pudding consistency. Top with crushed pecans right before serving.